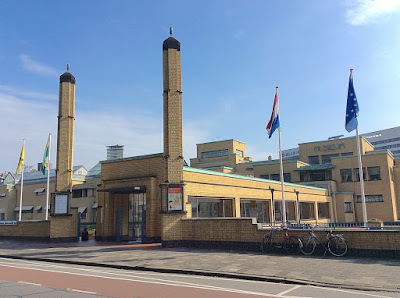 The Dutch word "gemeente" means municipality, so the Gemeentemuseum is the municipal museum for The Hague, a major city and the capital of the Netherlands. Housed in an architectural landmark, it has a significant collection of international art of the 20th century, and it is the only place where you can see a survey of Dutch art of the modern era. 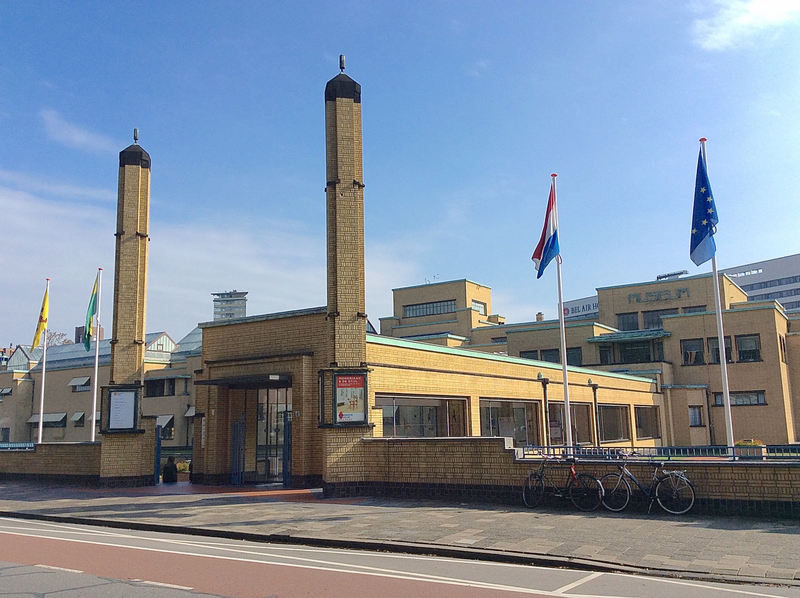 The building was designed by Hendrik Petrus Berlage, who is considered the "Father of Modern architecture" in the Netherlands. 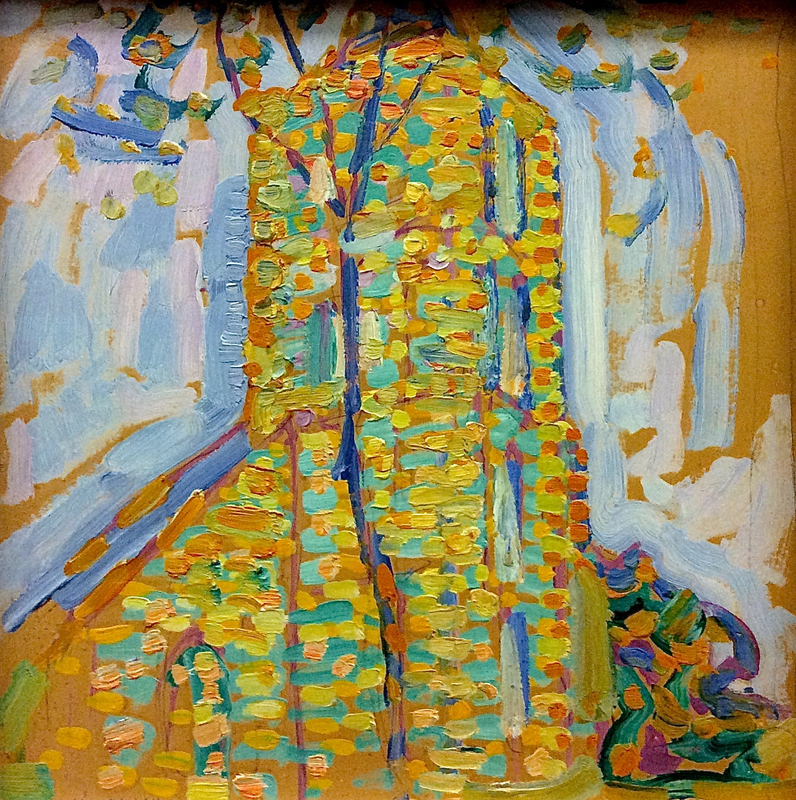 After a visit to the U.S. in 1911, he became a follower of Frank Lloyd Wright and helped to disseminate Wright's views in Europe. 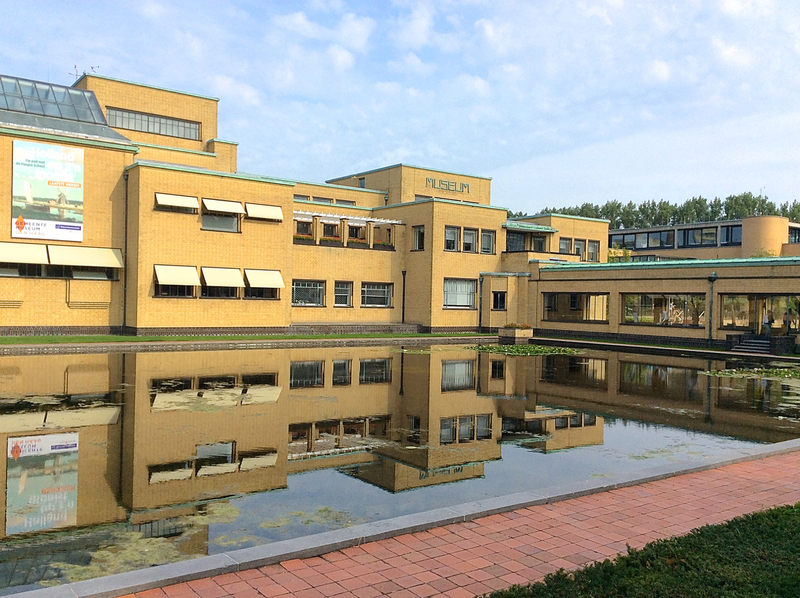 The Gemeentemuseum was built in the 1930s in the Art Deco style. 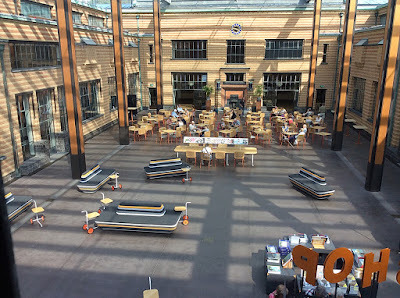 It has a covered walkway. In the interior, a covered courtyard provides both seating for the cafeteria and a gift shop. After the Dutch Golden Age of the 1600s, painting in Netherlands lost much of its power. 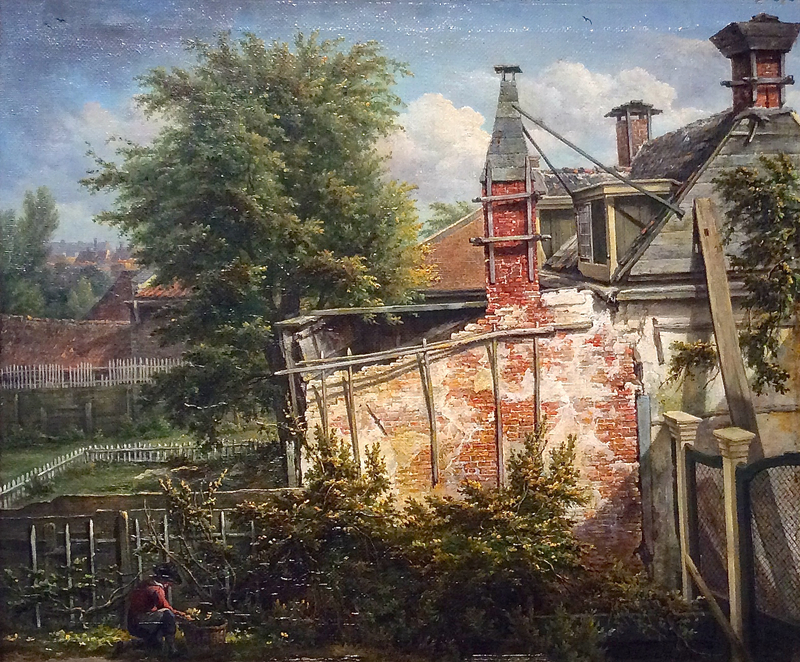 Few canvases from the 1700s are remembered. 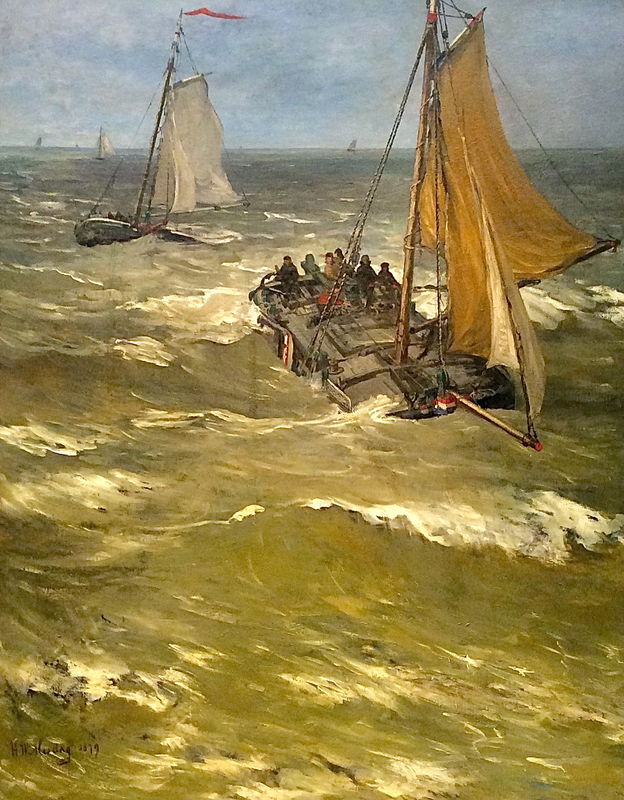 In the 1800s, there was a resurgence of painting, but very few Dutch painters were known internationally until van Gogh. When we toured there, the Gemeentemuseum was having an exhibit on the art of this period. Several examples are presented below in order to give you the context for van Gogh's development; the names of the specific artists are less important than their subjects and styles. 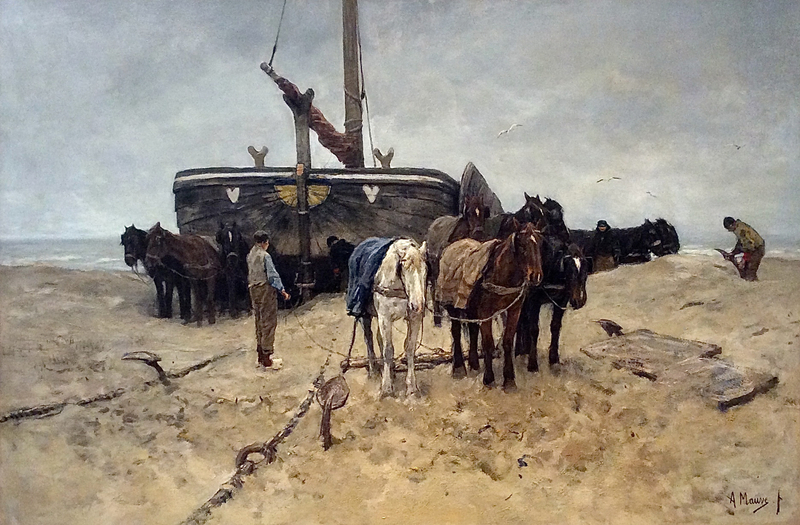 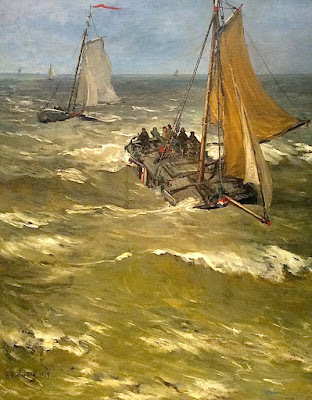 Mesdag specialized in marine paintings. Anton Mauve was a realist who specialized in outdoor scenes of people and animals at work. 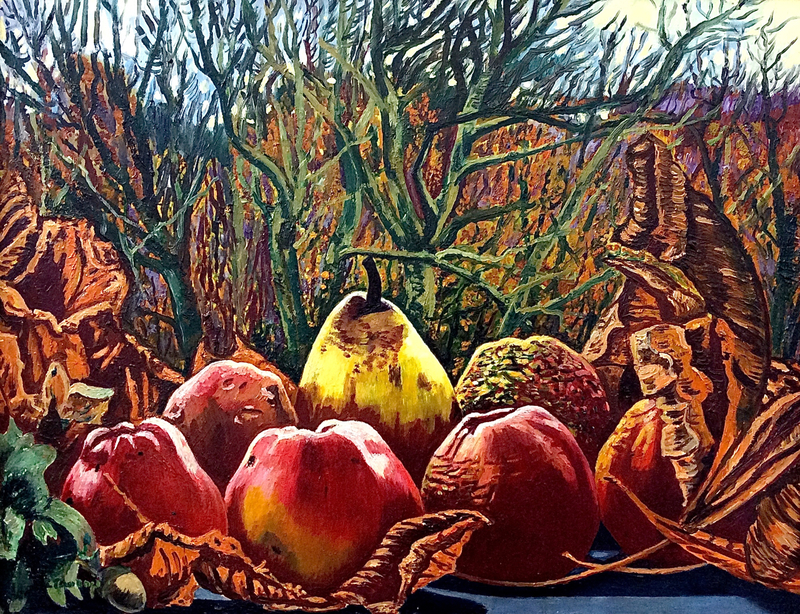 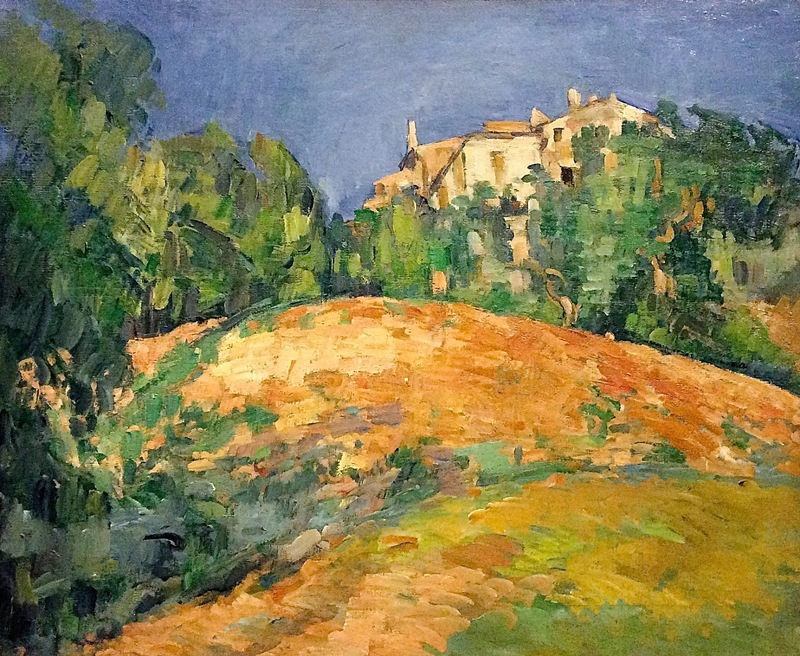 One of his main claims to fame is that he was married to a cousin of Vincent van Gogh, and it was in his studio that van Gogh first learned to handle oil paints. 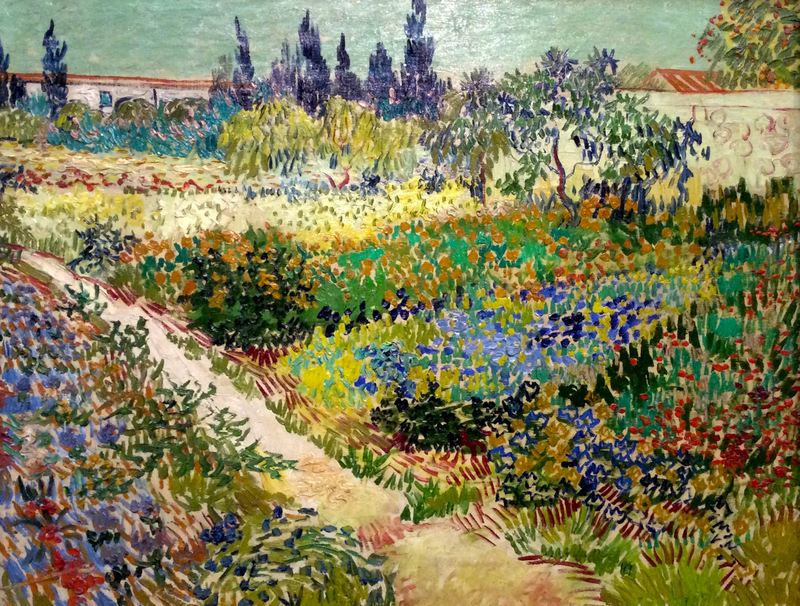 Into this rather drab and traditional history suddenly drops the modern and vibrant work of Vincent van Gogh. 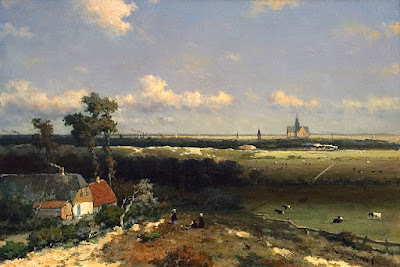 The Gemeentemuseum does not have many examples of his work, because they are in the van Gogh Museum in Amsterdam and the Kröller Müller in Otterlo. 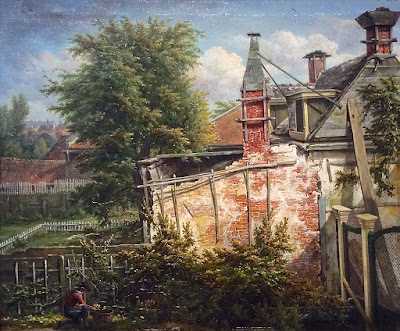 They do have this nice garden piece. 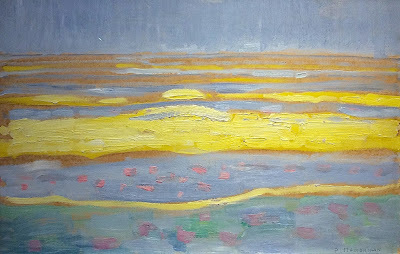 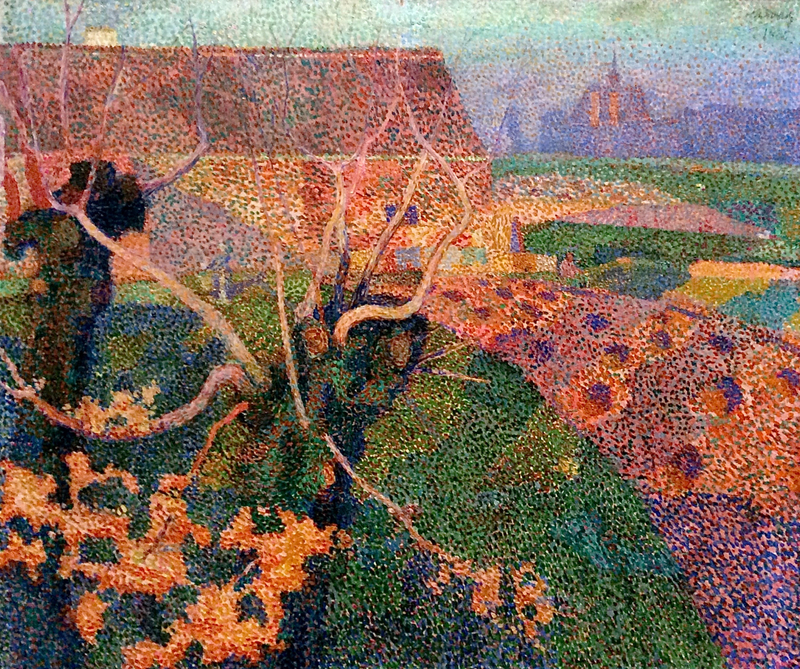 Jan Toorop was born in the Dutch East Indies, present-day Indonesia, so he had youthful experience with rich light and color, which is seldom seen in The Netherlands. He studied in Delft and Amsterdam, and lived in The Hague part of his life. 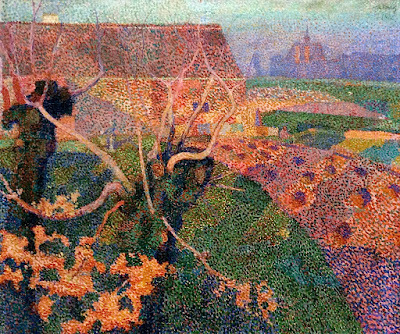 His style was strongly influenced by Pointillism, but he also used some curving lines and odd perspectives based on Indonesian art. 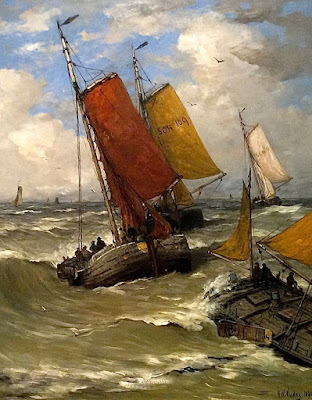 Jan is a man's name in The Netherlands. 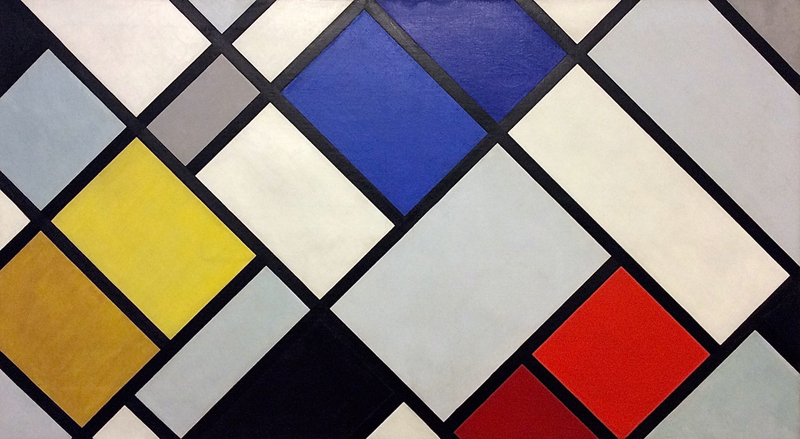 After van Gogh, the next most famous Dutch artist of the modern era is Piet Mondrian. The Gemeentemuseum has the largest collection of his works in the world. 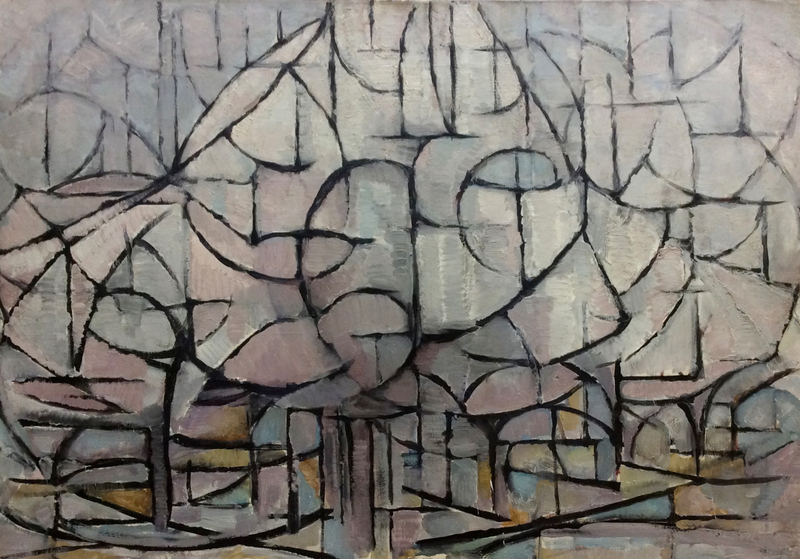 In 1911 Mondrian moved to Paris, and dropped an A from the Dutch spelling of his name, which is Mondriaan. 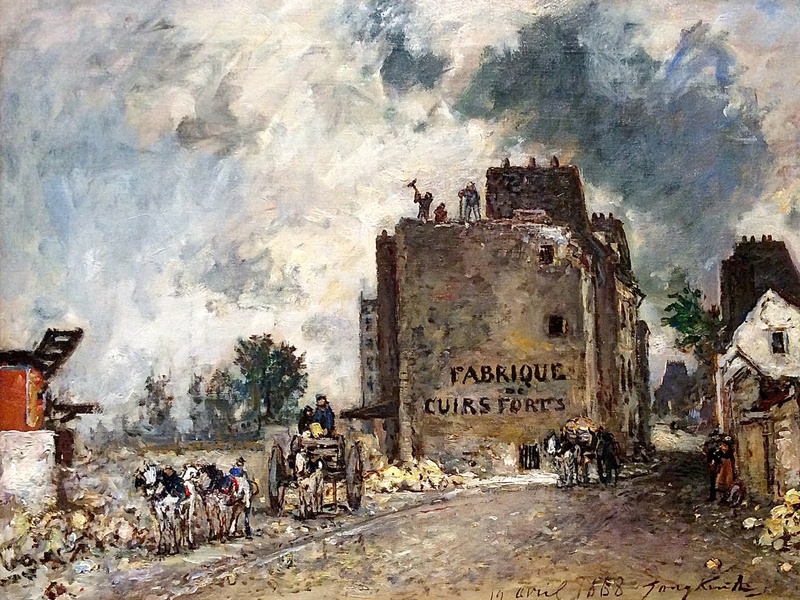 Living in Paris gave him the opportunity to absorb the modern movements in painting, and to gain international recognition for his innovations. 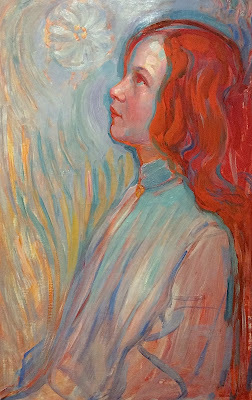 Here's a portrait of Mondrian by a younger contempory. 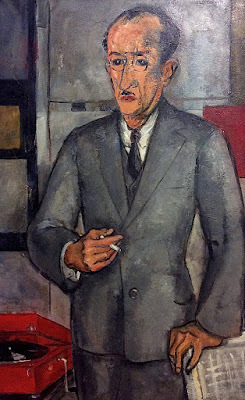 He looks sophisticated but severe. Mondrian is best known for geometrical abstraction. 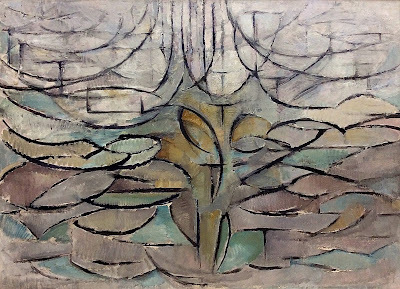 He developed a theory of painting called neoplasticism. 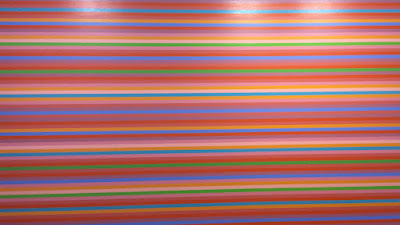 He said, "I construct lines and color combinations on a flat surface, in order to express general beauty with the utmost awareness." 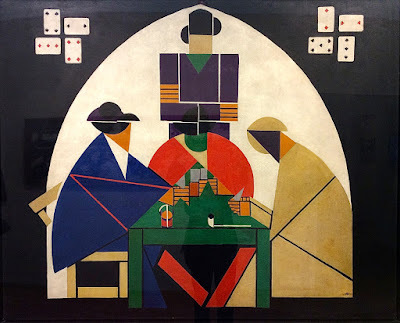 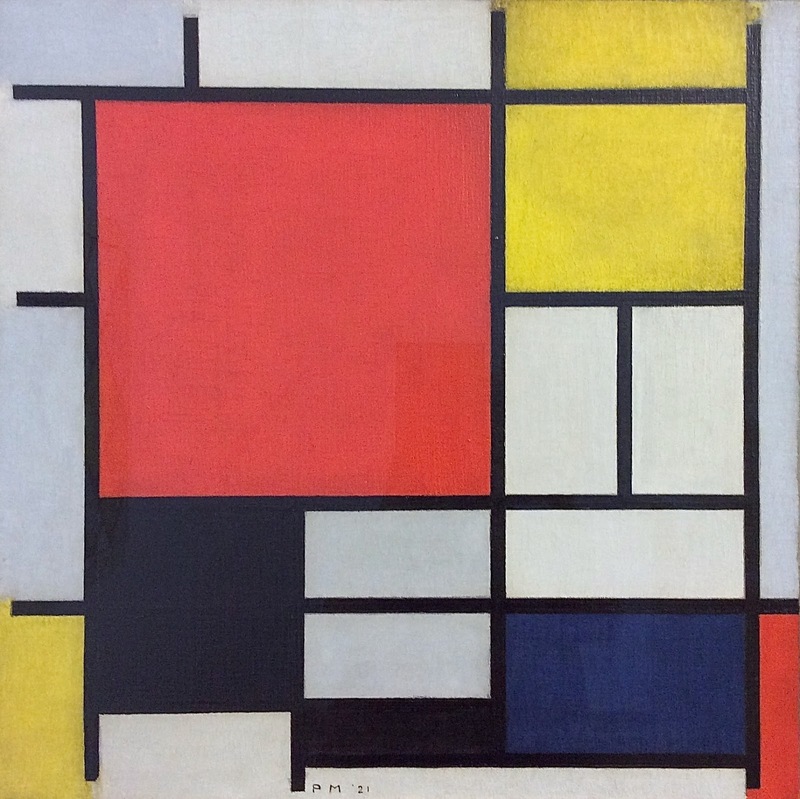 Neoplasticism became the basic aesthetic of an artists' group, and a journal, called De Stijl (The Style), which he formed with Theo van Doesburg and Bart van der Leck. De Stijl became the rage in architecture and furniture, as well as painting. 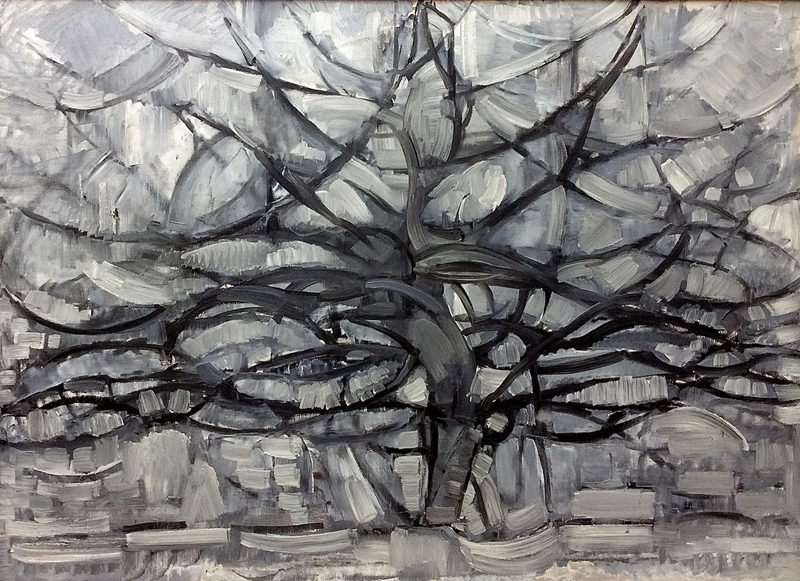 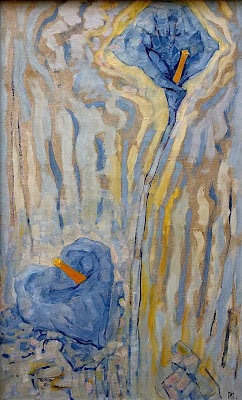 However, Mondrian's early work was figurative, with overt spiritual content, fluid brushstrokes, and vivid color. He progressed toward abstraction in a gradual, experimental manner. Theo van Doesburg was eight years younger than Mondrian, and when he first saw Mondrian's work, he felt it realized his ideal in painting: a complete abstraction of reality. He made contact with Mondrian, and they began the De Stijl movement. 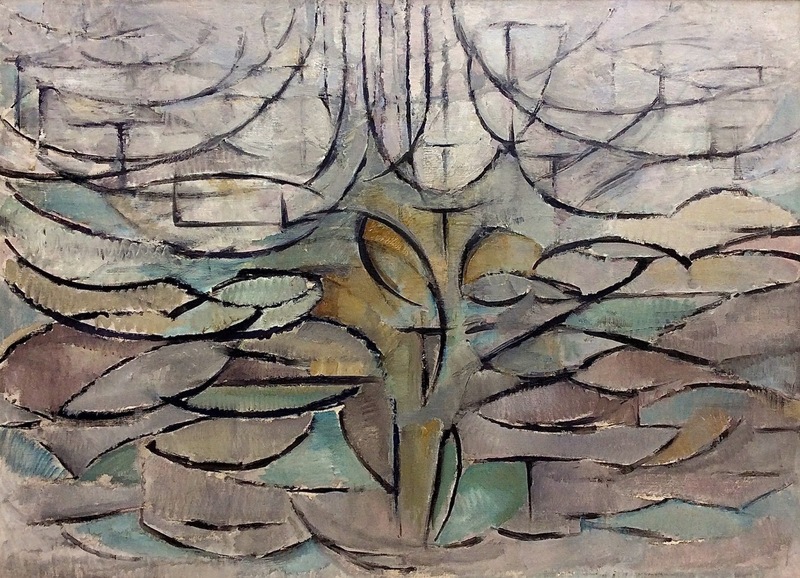 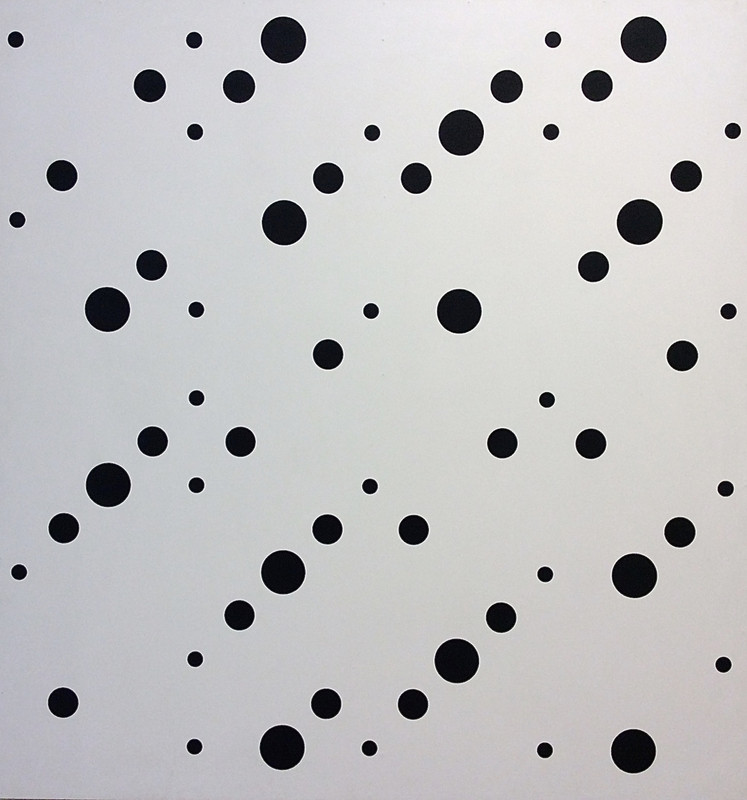 The museum exhibited three of his paintings that show him becoming increasingly abstract and simplified. 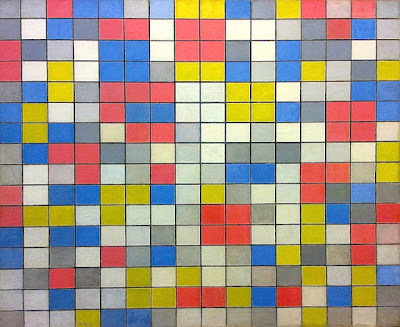 However, he could never restrain himself to the rigid verticals and horizontals that Mondrian preferred. 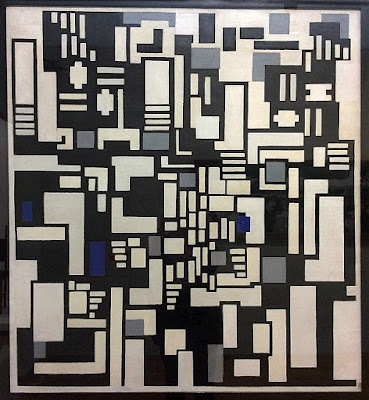 Bart van der Leck was one of the founders of De Stijl—it was his example that led Mondrian to limit his palette to primary colors—but he soon broke with the others and went his own way. 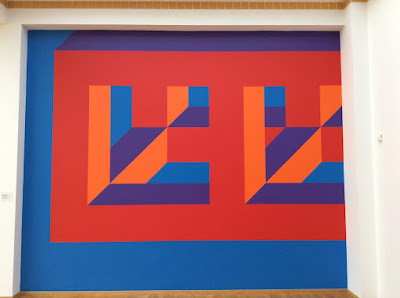 He was not very successful, and it was the patronage of Helene Kröller Müller that kept him afloat. 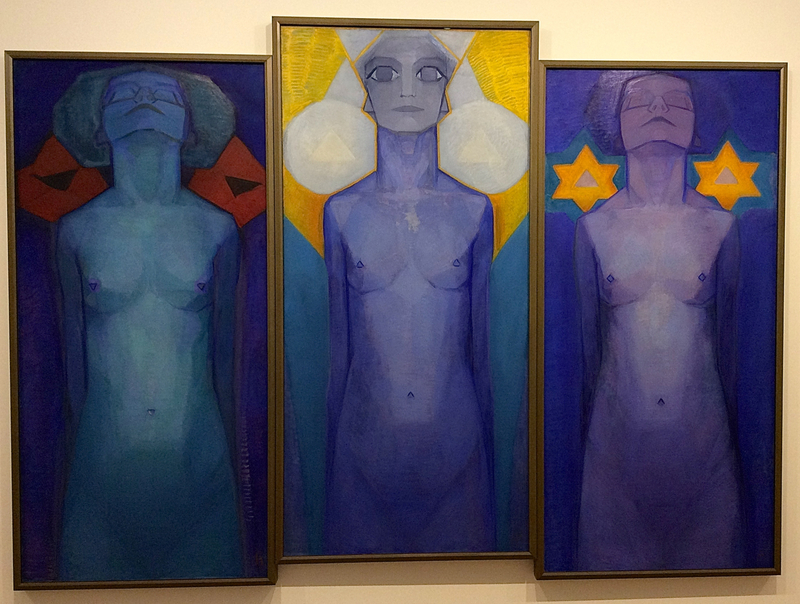 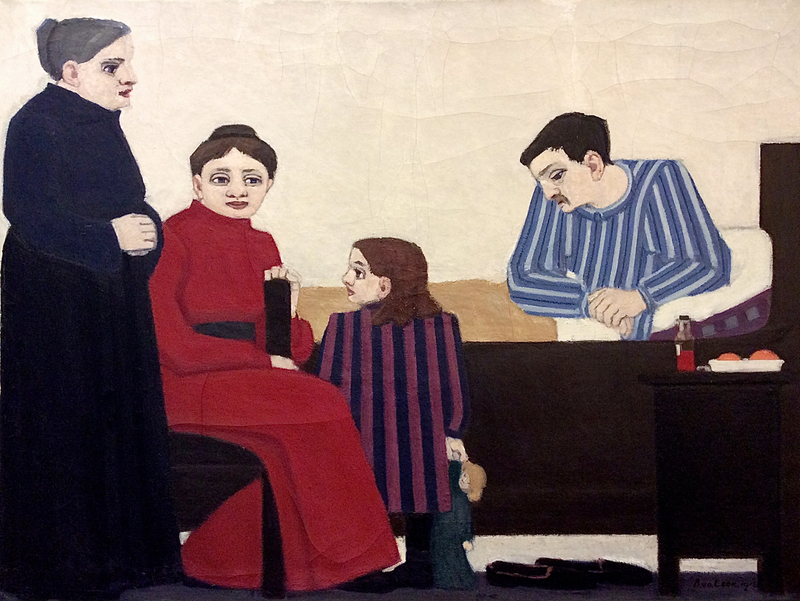 Although his style became completely abstract, the museum was showing early figurative works. 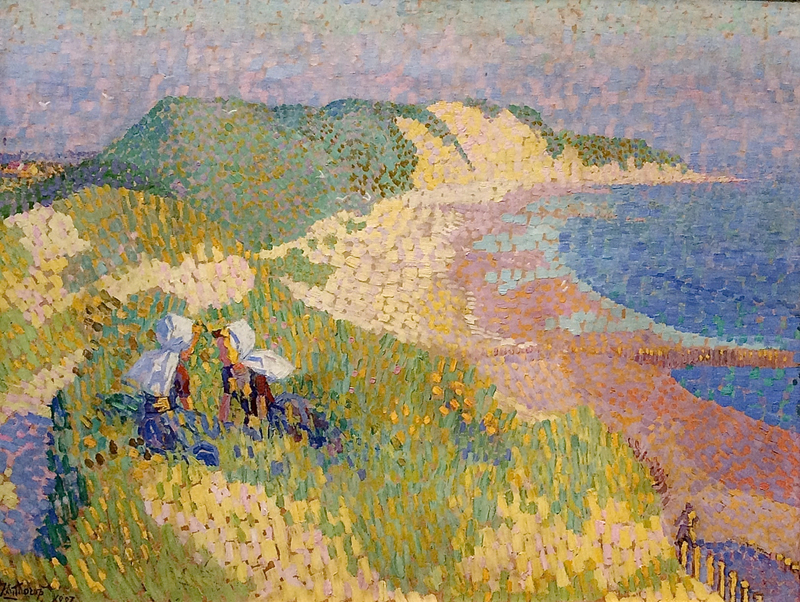 Originally named Annie Caroline Pontifex Fernhout-Toorop, Charley Toorop was the daughter of Jan Toorop, and friendly with the members of De Stijl. 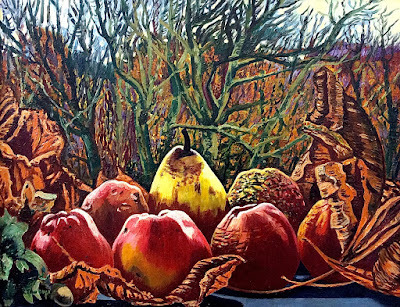 She is known for self-portraits and female nudes in a powerful, realistic style, but throughout her career, she also painted still lifes. 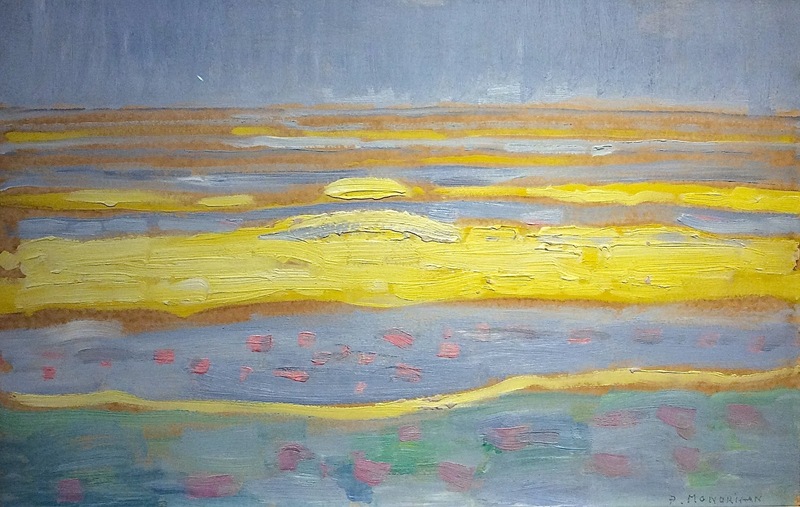 In addition to all this Dutch art, the Gemeentemuseum has a representative sample of international works from the 19th and 20th century. 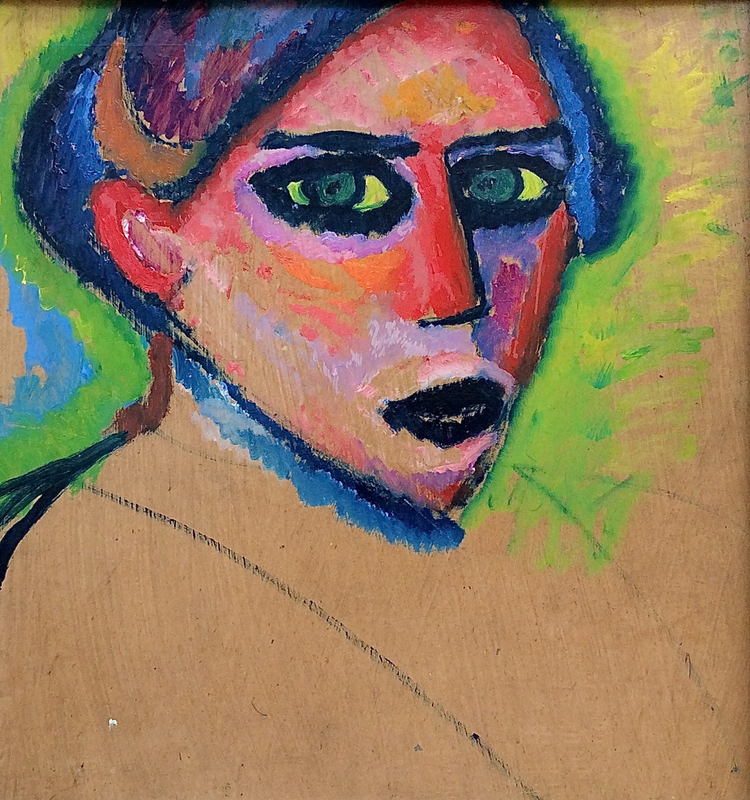 Alexej von Jawlensky was a Russian Expressionist painter who spent most of his career in Germany. 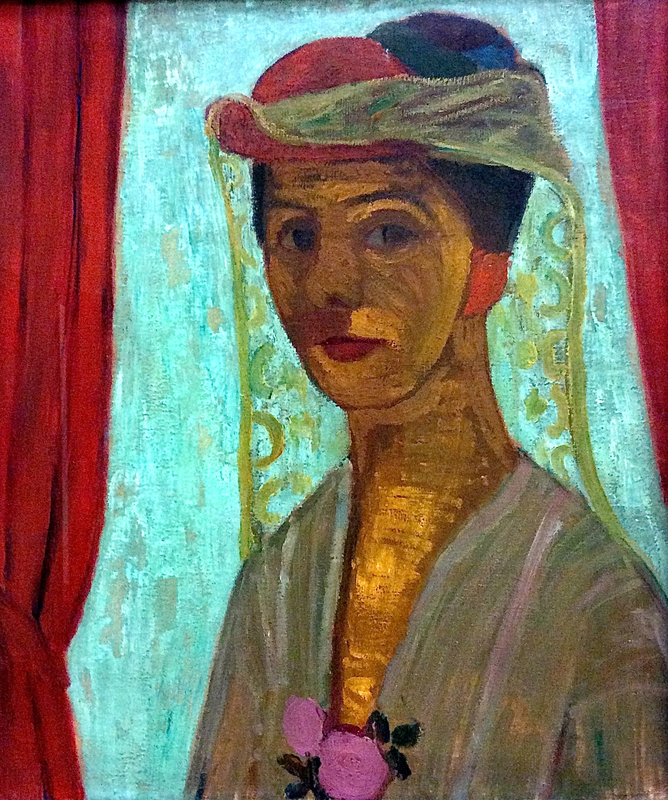 One of his major themes was portraits in which the face was wildly colorful and forms were exaggerated. 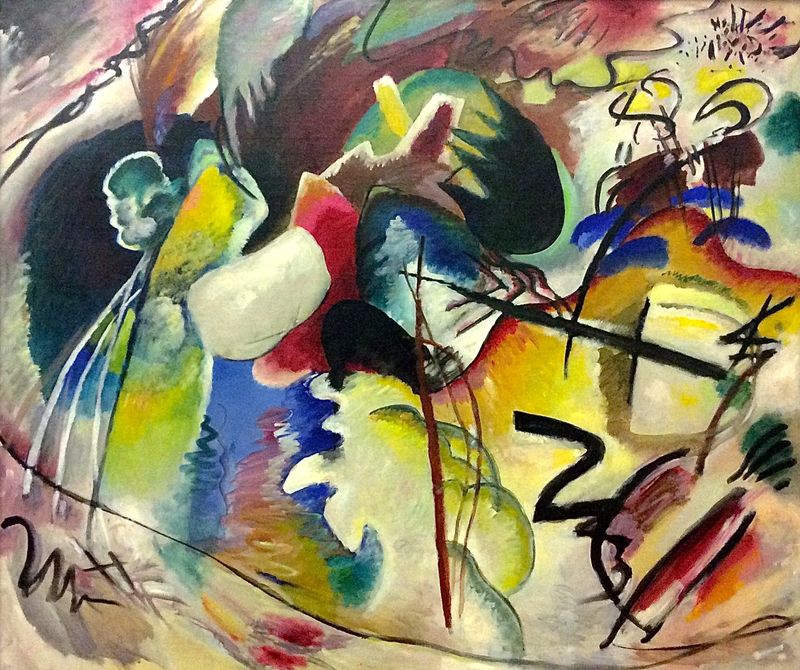 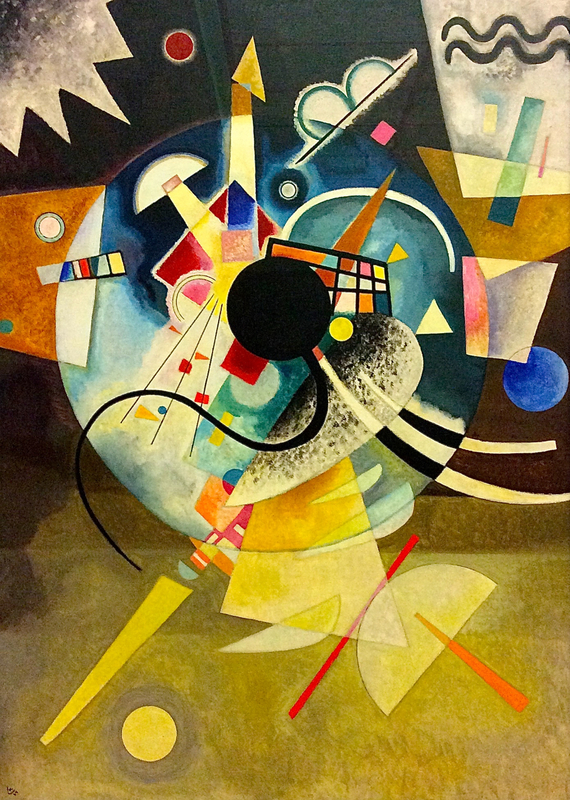 Wassily Kandinsky was considered the first abstract painter. He could be geometric and angular, or he could be organic and flowing, but he was always dynamic and colorful. Paula Modersohn-Becker was a German expressionist who created images that were rough but intense. She died of an illness at the age of 31, so she didn't get a chance to develop a large body of work, and it is rare to see it in a museum. 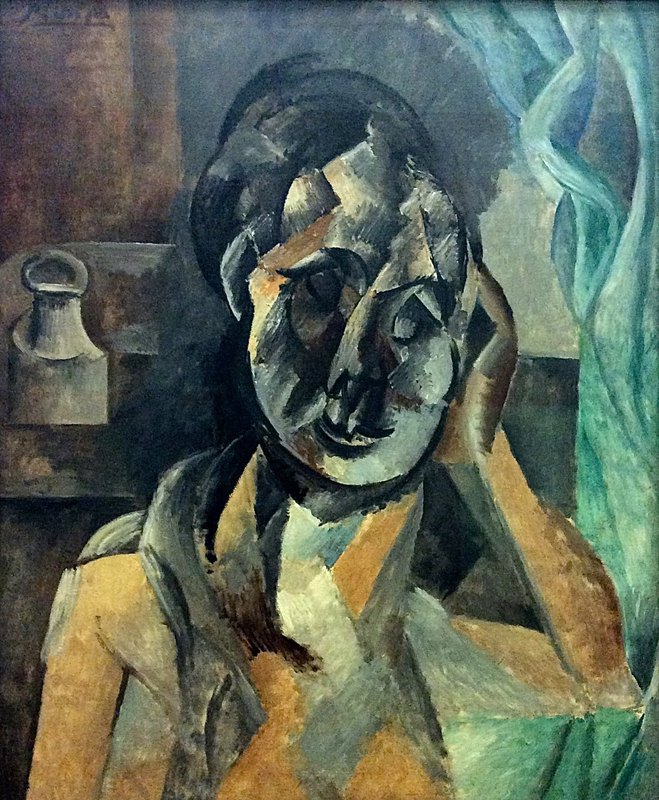 Picasso was interested primarily in shapes in an image. By bringing out the geometry in a figure, he and Braque became the inventors of Cubism. 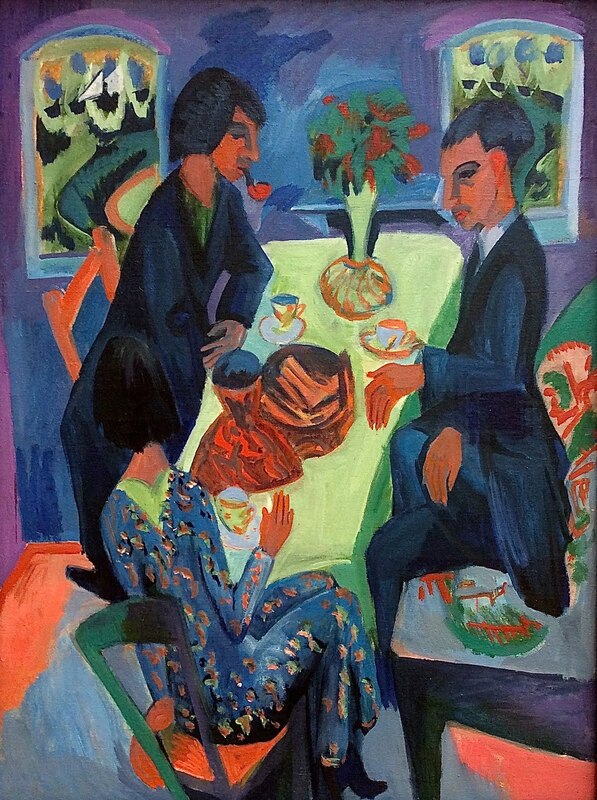 Beckmann was a German painter who was part of a movement called the New Objectivity. 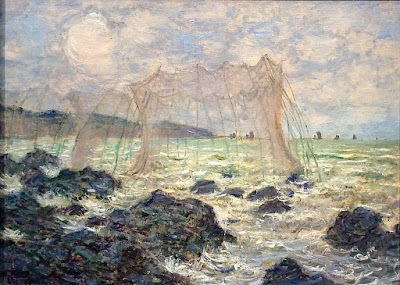 These painters returned to the Realist tradition of looking at the real world, as opposed to the German Expressionists, who were concerned with spiritual and personal themes. 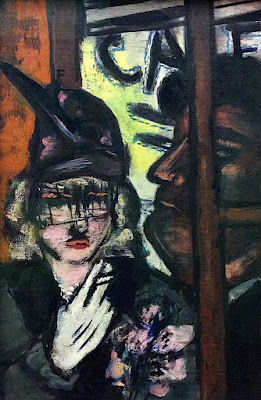 Beckmann used expressive and dramatic brushwork to convey the harshness of modern life. 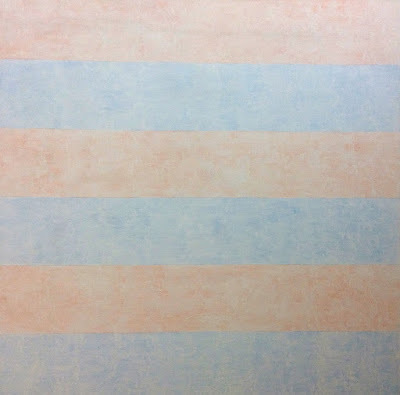 Agnes Martin was an American abstract artist who simplified the elements of art to horizontal lines and bands in order to create an emblem of inner peace. 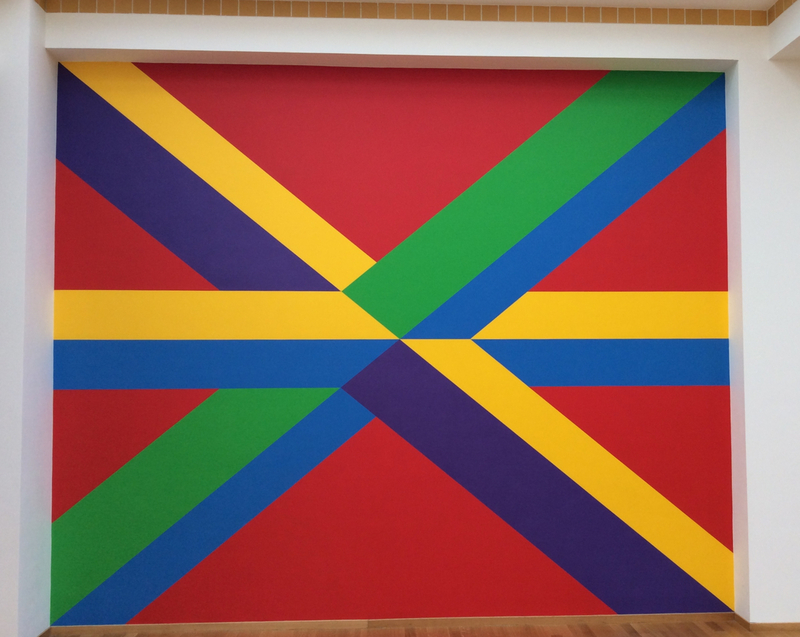 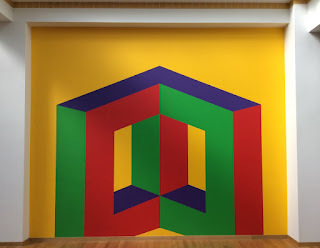 Sol Lewitt was an American artist who was a major developer of Conceptual art. 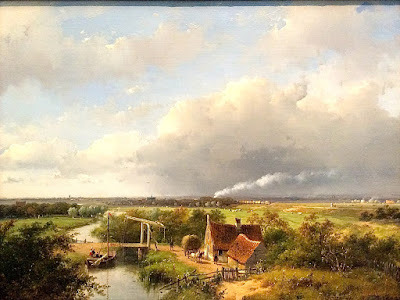 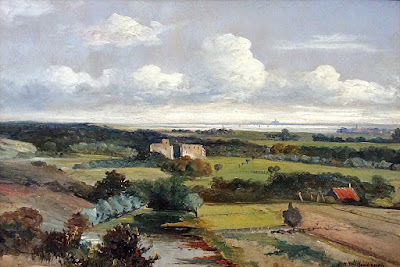 His theory was that the concept is the most important part of a work of art; therefore, it might be executed by others. 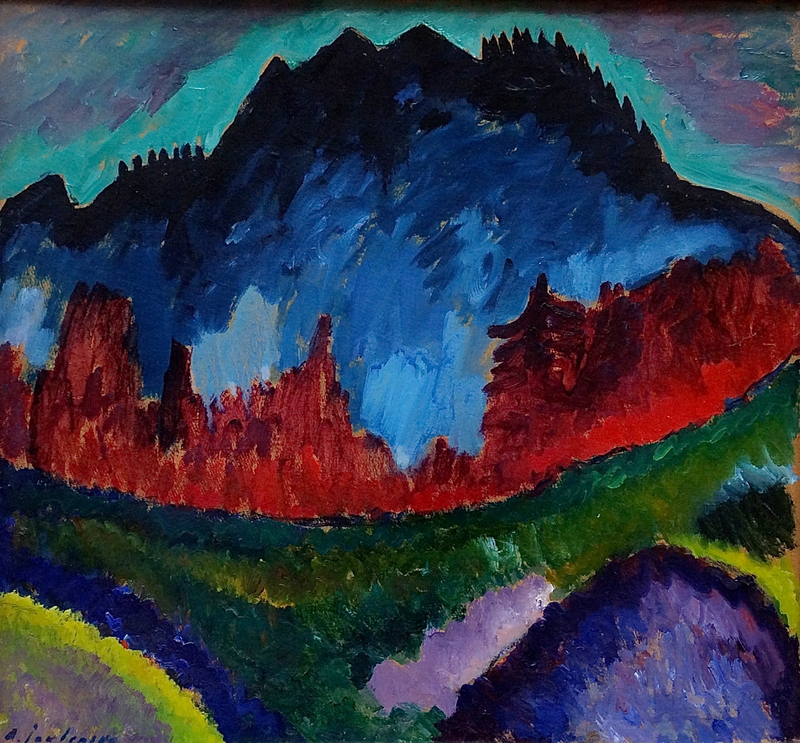 Instead of selling paintings, he sold designs for paintings, which were then painted by technicians. 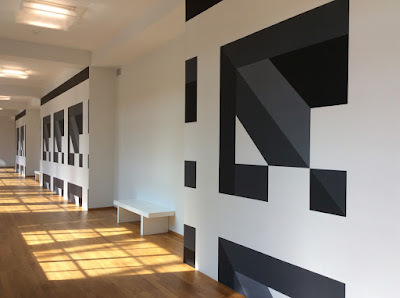 He called his designs "Drawings" even though they are usually painted directly on walls. The museum has two corridors that are decorated by his "wall drawings." 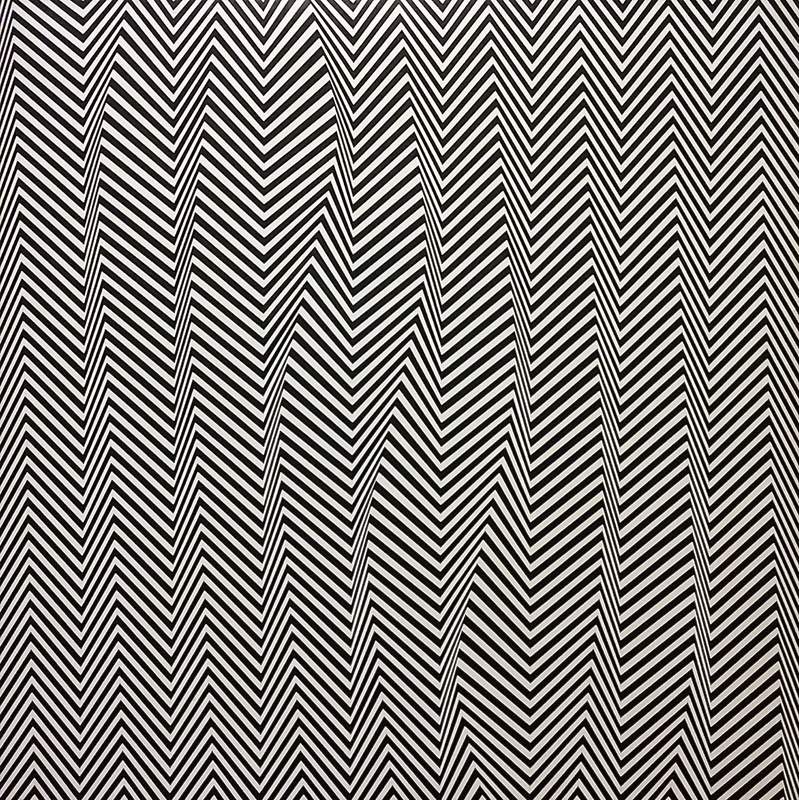 Bridget Riley is the pre-eminent practitioner of Op Art. 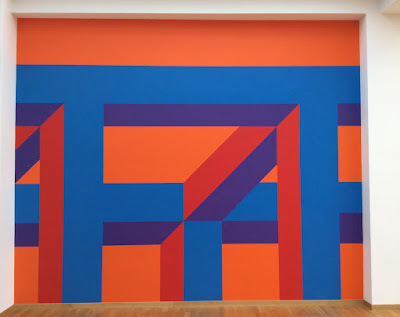 The lines on this one should be perfectly horizontal. 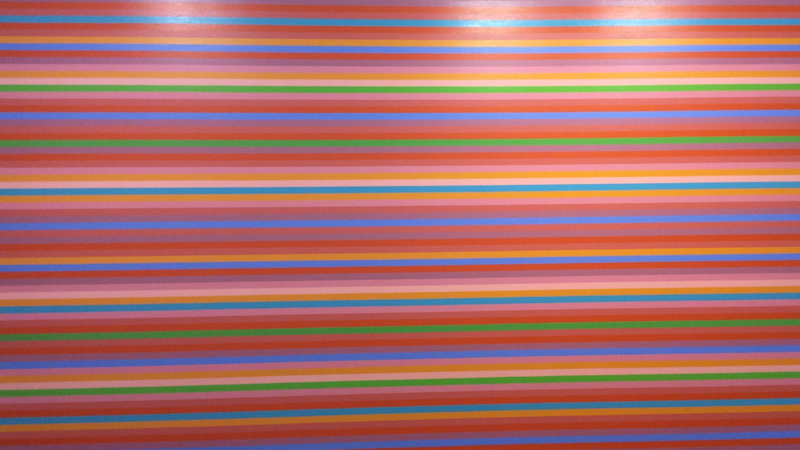 My iPad photo has some distortion. 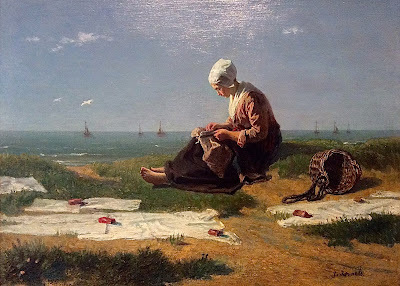 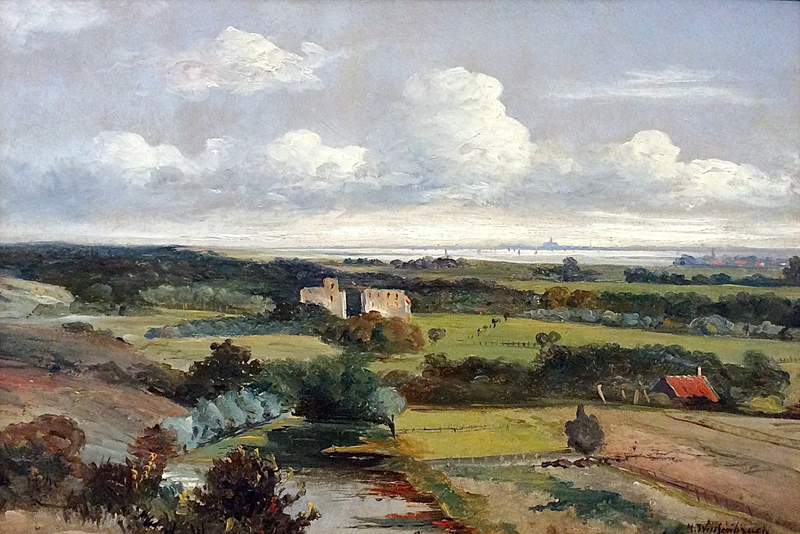 In the 1800s Dutch art was dominated by traditional landscapes, and its artists did not have a large impact on the history of art until the emergence of Vincent van Gogh, who spent most of his career in France. 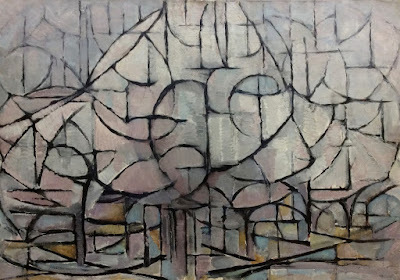 The most important Dutch artist of the 20th Century is Piet Mondrian. He is best known for his rigidly geometric abstractions. Max Beckmann was part of the movement toward a New Objectivity in German art. 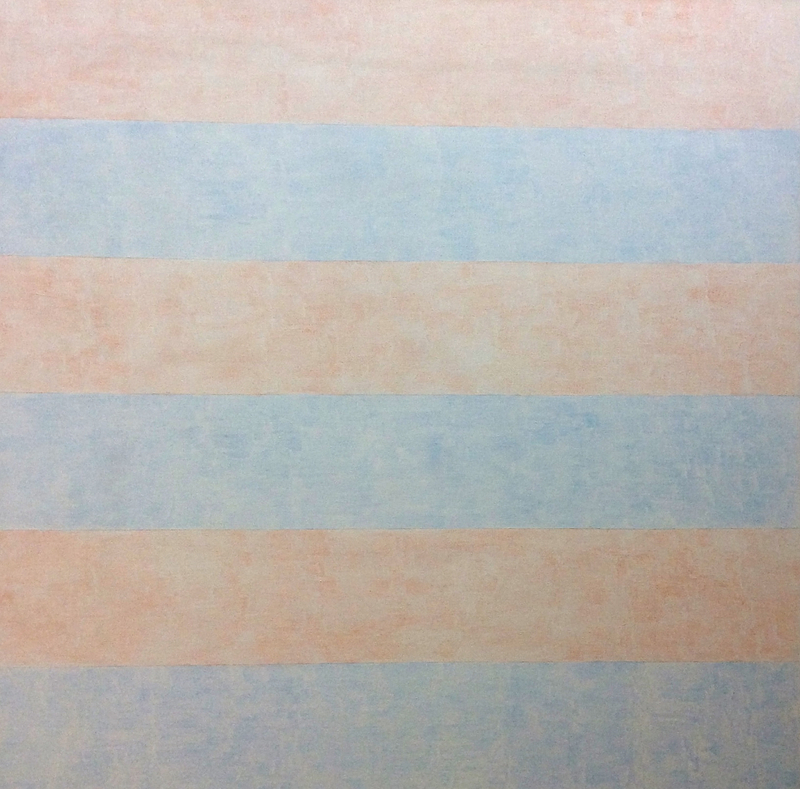 Agnes Martin was an American who painted abstract meditations. Sol Lewitt was an American who developed a Conceptual approach to painting, in which he sold a design that could be executed by others. 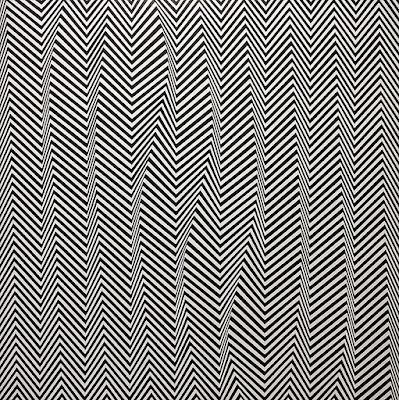 Bridget Riley is a living English artist who is the pre-eminent practitioner of Op Art.